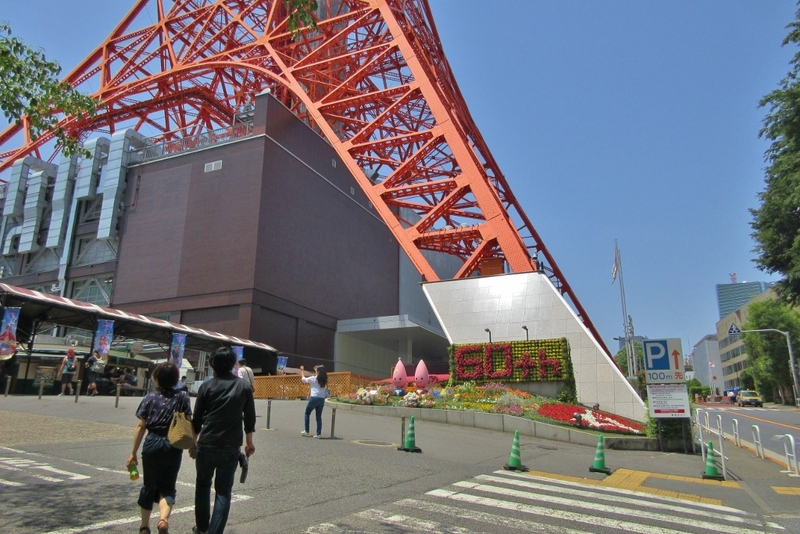 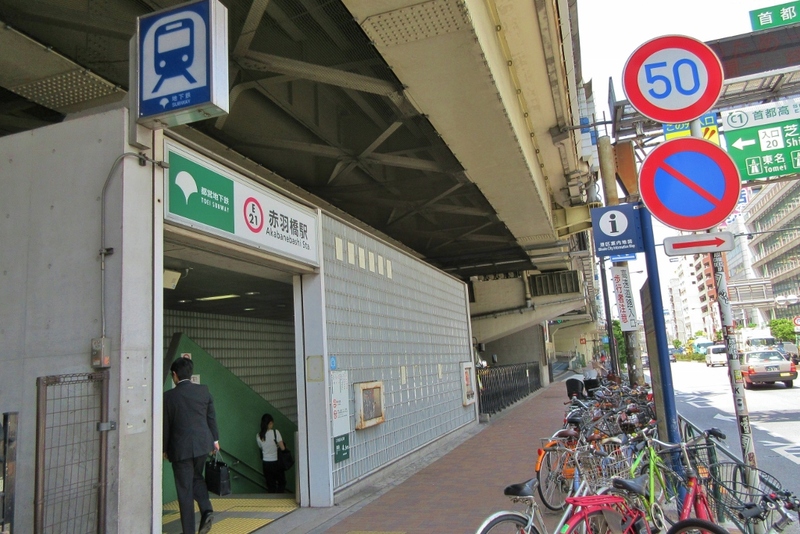 When you emerge aboveground from the Akabanebashi exit of "Akabanebashi" Station on the Toei Oedo Line,You will be able to see Tokyo Tower beyond the wide road. 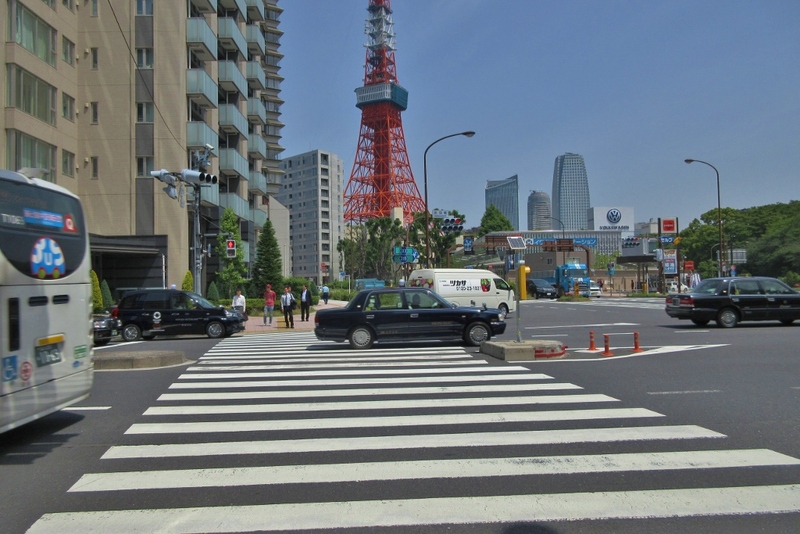 First, cross the pedestrian crossing in front of you. 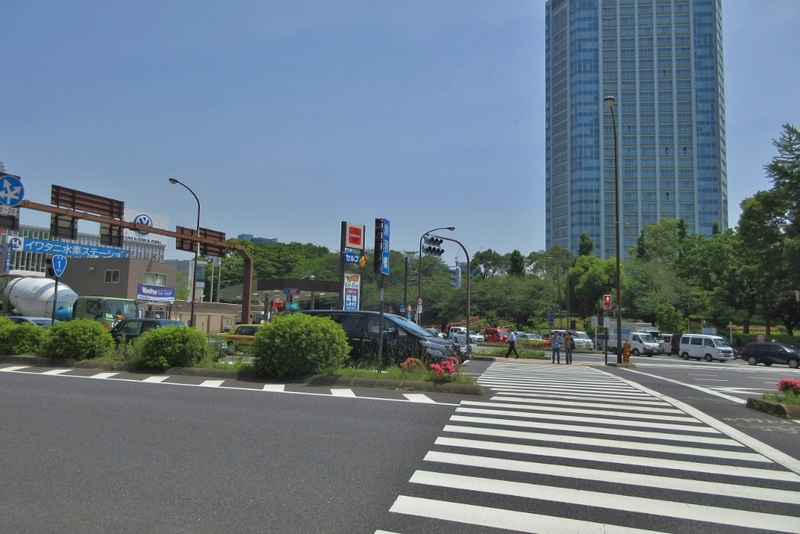 When you have finished crossing it, continue to cross the pedestrian crossing on your right. 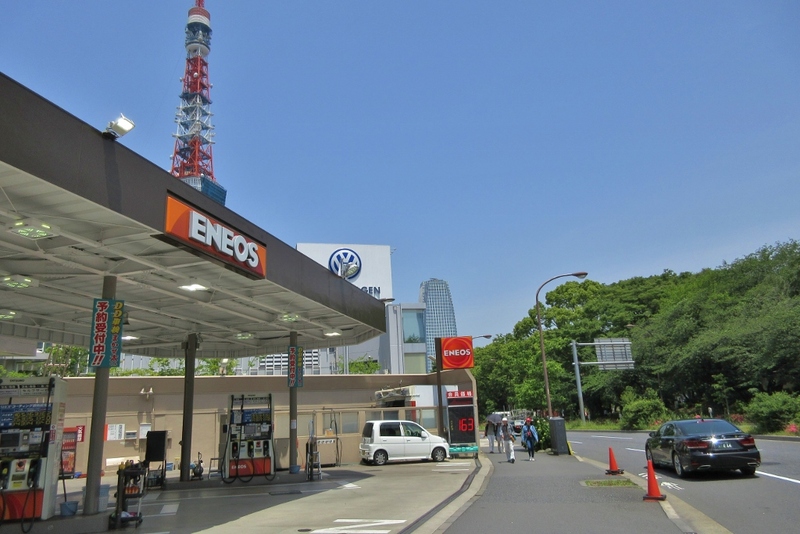 And go to the side where the gas station is. 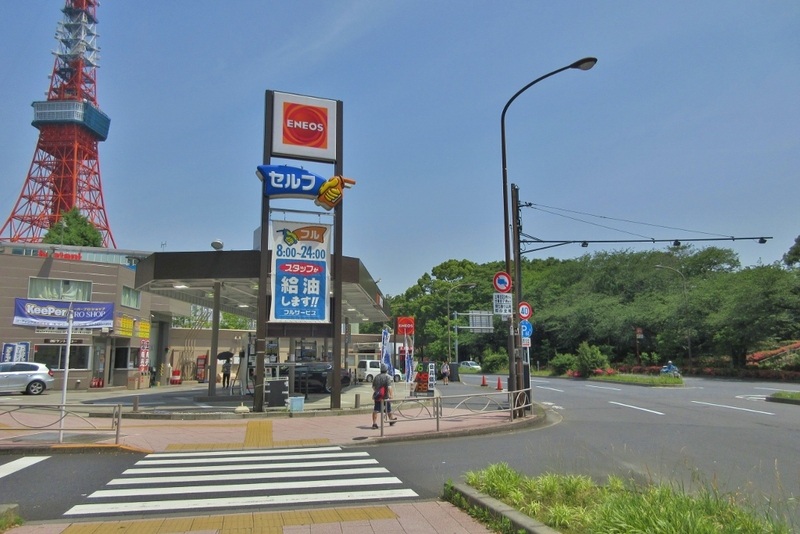 In this manner, go straight on the sidewalk with the gas station on your left. 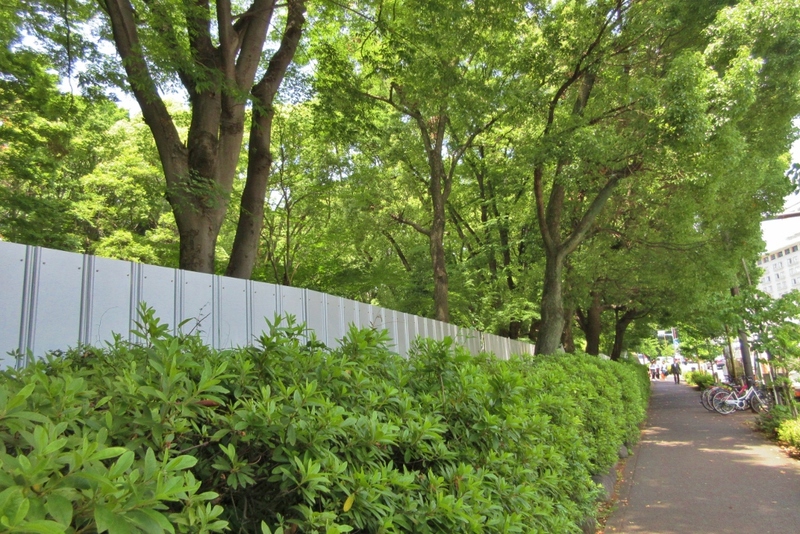 On the way, there will be a slope on the left as shown but continue to walk past it. 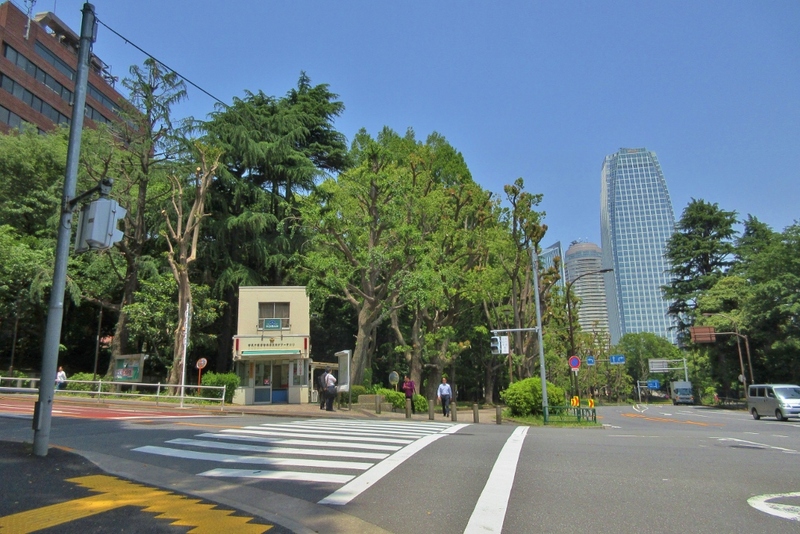 As you continue to go straight with the trees of a park on your left, you will approach an intersection, so Turn left on the sidewalk. 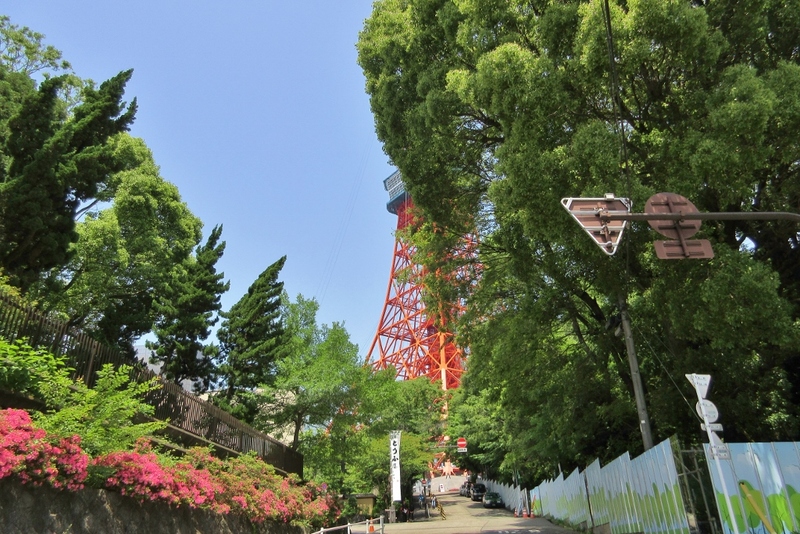 Proceed a little farther to reach Tokyo Tower.